Japan Display recently announced an 8K display that is the right size for a desktop replacement laptop, but the rest of the PC industry may not be ready for it just yet. If you thought 4K panels on laptops were crazy, just wait until you see a smallish display offering glorious 8K resolution. 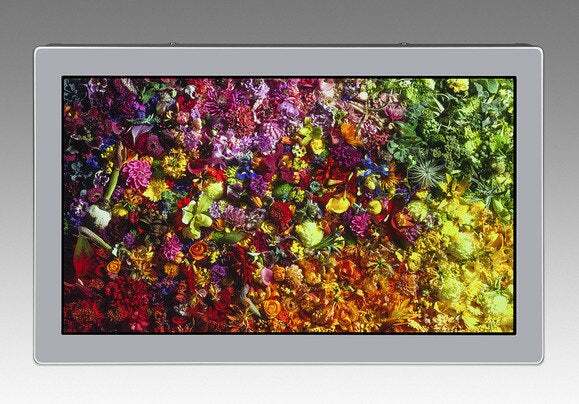 Japan Display Inc.—a small to medium display maker that is a joint venture of Sony, Toshiba, and Hitachi—recently announced what it says is the world’s first 17.3-inch 8K (7680-by-4320) LCD panel. 8K puts more than 33 million pixels in front of your eyeballs, which means this display offers nearly 510 pixels per inch (ppi). In contrast, a 1080p display that size only offers 127ppi, The company says the panel also has a blazing-fast response time of 120Hz and a widde 176-degree viewing angle. When the display will actually land in a product is unclear. The component maker only recently announced the 8K mini-monster and will publicly show it off for the first time during CEATAC Japan, starting Wednesday. Although the display is the right size for a larger laptop, Japan Display’s announcement suggests this is aimed mostly at televisions, as well as monitors for gaming and medical applications. Before we all start rocking 8K displays on desktops and laptops, however, the new display resolution has to escape its technical infancy. Current connectors such as HDMI and standard DisplayPort aren’t quite up to the job of driving the throughput that 8K needs—especially at the speedy 120Hz. To overcome that, two different standards are rushing in to fill the 8K-connector void. TV makers proposed a standard called SuperMHL in January for HDTVs. On the PC side, the Video Electronics Standards Association released Embedded DisplayPort (eDP) 1.4a in February and expects to see the standard hit the PC market in 2016—Intel’s Thunderbolt 3 also supports 8K displays. The impact on you at home: An 8K display may look great on a spec sheet, but it’s far too many pixels to make a substantial difference on a small display compared to lower resolutions. Purists would argue that even 4K is overkill on a laptop. Microsoft built 8K support into Windows 10, but only recommends that resolution for 27-inch displays and up. Given the nature of the PC market, however, it’s pretty much inevitable that we’ll see 8K in laptops and for a premium price at some point.